Big Data Management - Datalumen - Ready to make your Big Data work? Where do you want to start your Big Data journey? We offer modernizing integrated data warehouses and information management to enable movement, management and consumption of large volumes of fast moving structured and unstructured data. As you start with Big Data, it's not only about choosing the right Big Data distribution and analytical front-end. What's important is that the data traveling across your structured and Big Data environment is seamlessly connected, managed, trusted and secured. To help you get started on your Big Data journey and to keep your project on track, we have the solutions available to optimize your Big Data deployments. We can remove the Big Data complexity so you can focus on business value. according to NVP 2017 study. Can Actually Trust to Power Quicker Business Decisions. The sheer volume of data being ingested into Hadoop systems is overwhelming IT. Business analysts eagerly await quality data from Hadoop. Meanwhile, IT is burdened with manual, timeintensive processes to curate raw data into fit-for-purpose data assets. Big data cannot deliver on its promise if it brings progress to a grinding halt because of complex technologies and additional resources required to extract value. Without scalable, repeatable, and intelligent mechanisms for curating data, all the opportunity that data lakes promise risks stagnation. The capability to turn big data into valuable business insights with the right data delivered at the right time is, ultimately, what will separate organizational forerunners from laggards. Data lakes on their own are merely means to an end. To achieve the end goal of delivering business insights, you need machine intelligence driven by universal metadata services. Universal metadata services catalog the metadata attached to data, both inside and outside Hadoop, as well as capture user-provided tags about the business context of the data. Business insights flow from an otherwise inert data lake through the added value derived from the cataloging of both the quality and the state of the data inside the data lake as well as the collaborative self-service data preparation capabilities applied to that data. Thus, the Intelligent Data Lake enables raw big data to be systematically transformed into fit-for-purpose data sets for a variety of data consumers. With such an implementation, organizations can quickly and repeatably turn big data into trusted information assets that deliver sustainable business value. Business analysts yearn for an efficient way to manage the ever-growing “volume, variety, and velocity” typically associated with big data. An intelligent Data Lake uncovers existing customer data through an automated machine-learning-based discovery process. This discovery process transforms correlated data assets into smart recommendations of new data assets that may be of interest to the analyst. Data assets can also be searched thanks to the metadata cataloging process, which lets business analysts easily find and access nearly any data in their organization. Business analysts are often limited to data locked up in data silos and are often unaware of regulatory regimes and compliance frameworks increasingly protecting consumer privacy and addressing security concerns. An Intelligent Data Lake effectively breaks down those silos, while maintaining the data’s lineage and tracking its usage. Business analysts benefit, therefore, from the insights derived from previously siloed but now universally accessible data assets. As business cycles continue to shrink, speed is one of the few competitive advantages that organizations can rely on in the race to add business value. The longer business analysts wait to get the data, the more they stand to lose. Our Intelligent Data Lake approach lets you quickly prepare and share data instrumental in delivering competitive analytics. Our self-service data preparation provides a familiar and easy-to-use Excel-like interface for business analysts, allowing them to quickly blend data into the insights they need. Collaboration among data analysts also plays an important role. Crowdsourced data asset tagging and sharing empowers business analysts by letting them collaborate in the data curation process. It also adds value by leveraging the wisdom of crowds and increases operational efficiency, enabling more of the right people to get to more of the right data at the right time. Regardless of automation and self-service tools, analysts often have to repeat the same data preparation activities with new sets of data. This simply squanders any gains from ongoing scale and re-usability. Our Intelligent Data Lake lets you record data preparation steps and then quickly play back steps inside automated processes. This transforms data preparation from a manual process into a re-usable, sustainable, and operationalized machine. Thanks to our market-leading platform, proven methodology, and strong partner ecosystem, you can find, prepare, and govern more big data in a collaborative way. Establish an Intelligent Data Lake as part of your information management strategy today to quickly and repeatably turn more big data into business value without more risk. Organizations are adopting data lakes for identifying and accessing trusted data to explore and curate for advanced analytics. But the wrong approach to data lake management could end up costing you time and effort. In “Managing Data Lakes,” Bloor Research examines the pros and cons to data lake management strategies and offers key recommendations for choosing the right one for your organization. Read the Forrester Wave™: Big Data Fabric and learn all about the top big data fabric vendors, their key features and functionalities and how they compare. In just over 200 pages, this book shares the experience of a real-world marketing team as they set up a marketing data lake to help them achieve that elusive single customer view. As the pace of business increases and organizations face overwhelming competitive pressure to transform their businesses, there is an opportunity to modernize and optimize data architectures to enable data to become a strategic asset for organizational decision making. The emergence of Apache Hadoop now gives organizations the luxury of using more data for analysis than ever before. But organizations are unable to turn most of their big data into trusted business insights due to antiquated and manual approaches of hand coding and code generation that leave most big data siloed, inconsistent, and incomplete. Our Big Data Management solutions delivers high-throughput data ingestion and data integration processing so business analysts can get the data they need quickly. Hundreds of pre-built high performance connectors, data integration transformations, and parsers enable virtually any type of data to be quickly ingested and processed on big data platforms, such as Hadoop, NoSQL, and MPP appliances. Beyond pre-built components and automation, we can provide dynamic mappings, dynamic schema support, and parameterization for programmatic and templatized automation of data integration processes. With a smart performance optimizer that is compatible with multiple processing engines, including MapReduce, Spark, Apache Tez, ... our Big Data Management solutions delivers maximum developer productivity, operational reusability, and data integration performance that ultimately shortens the time to value for business needs. It provides the gold standard in big data integration solutions so more big data can be turned into business value quickly. integration—that your company can use to develop innovative products and services. Data management professionals face a proliferation in the number and types of next generation data platforms available. Only our platform's certification and support of multiple on-premises and off-premises Hadoop distributions enables organizations to process and deliver data anywhere. Intelligent data management strategies help you to quickly and effectively operationalize successful big data experiments. That means you can accelerate the delivery of trusted, timely, and actionable data so that your business leaders can discover intelligent insights and make transformative decisions. Start monetizing your big data project successes. Download the workbook and operationalize your big data POC to discover intelligent insights—not just once, but again and again. Businesses today have an unprecedented opportunity to gain insight from a steady stream of realtime data—for example, transactions from databases, clickstreams from web servers, application and infrastructure log data, geo-location data, and data coming from sensors or agents placed on the almost endless variety of devices and machines making up the Internet of Things. This continuous flow of messages and events can increase the effectiveness, agility, and responsiveness of decision making and operational intelligence. However, as data flows in at high rates, it accumulates quickly into large volumes. Organizations can derive maximum value from data only if they can gather and analyze it immediately and at an ever-increasing scale. at runtime based on design patterns. Our Intelligent Streaming solution builds on the best of open source technologies in an easy-to-use enterprise-grade offering. It primarily uses Spark Streaming, one of today’s more vibrant open source technologies, under the covers for stream processing and supports other open source projects such as Kafka and Hadoop. 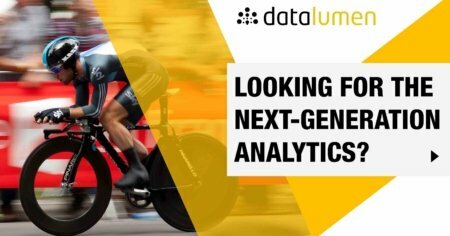 As new technologies inevitably evolve, Datalumen's Intelligent Streaming adapts, using the same data flows, so you don’t have to rebuild them. And data flows can be scheduled to run at any latency (real time or batch) based on the resources available and business SLAs. Data is diverse and distributed across many different departments, applications, data warehouses (some on-premises, others in the cloud), making it a challenge to know exactly what data you have and where. In the world of big data this becomes even more complex. Our Enterprise Data Catalog solutions are AI-powered data catalogs that provides a machine-learning-based discovery engine to scan and catalog data assets across the enterprise—across cloud and on-premises, and big data anywhere. Intelligence is provided in terms of leveraging metadata to deliver intelligent recommendations, suggestions and automation of data management tasks. This enables IT users to be more productive and business users to be able to be full partners in the management and use of data. Our Enterprise Data Catalog solutions provide business and IT users with powerful semantic search and dynamic facets to filter search results, data lineage, profiling statistics, 360-degree relationship views, data similarity recommendations, and an integrated business glossary. You can now easily and efficiently manage enterprise data assets to maximize their value throughout the company. Business users can quickly find data and easily manage the lifecycle of business terms, definitions, reference data, and more. Datalumen Enterprise Information Catalog solution intelligently discovers many types of data and their relationships across the enterprise. Pre-built scanners collect metadata from databases, data warehouses, applications, cloud data stores, BI tools, Hadoop and NoSQL, and more. All the metadata is indexed and cataloged in a highly scalable graph database architected for fast updates, smart search, and fast queries. As more and more data is created and propagated throughout the enterprise, similar and duplicate data sets inevitably arise. Datalumen Enterprise Information Catalog solution leverages advanced statistical and machine learning algorithms to discover similar data and subsets of data, helping users find the most relevant and trusted data they need. Trying to find the data you need across hundreds of enterprise systems may sometimes seem futile. Only through powerful semantic search built on comprehensive metadata services and a scalable infrastructure can one even hope to find relevant data. Datalumen Enterprise Information Catalog solution delivers semantic search with intelligent facets to further refine search results. Because Datalumen uniquely associates business, technical, and operational metadata, business users can search on business terms to find their data and then browse 360-degree relationship views to find related data assets. The classic saying, “You can’t manage what you can’t measure” is true when it comes to managing data assets. To get the most value from data, you need to understand what you have, where it came from, how it has changed, and what level of trust you have in the data. Datalumen Enterprise Information Catalog solution answers all these questions and more with complete end-to-end summary and detail lineage, profiling statistics, and 360-degree relationship views, providing a clear picture of your data. Datalumen Enterprise Information Catalog solution maximizes the reuse and value of data by automatically classifying enterprise data assets down to the field/column level. To further increase the value of data, EIC captures the context of who is using the data and for what purpose along with crowdsourcing tags and annotations. This “wisdom of crowds” helps to enrich and curate data, making it even more valuable throughout the enterprise. Datalumen Enterprise Information Catalog solution includes an intuitive business-friendly Business Glossary providing a central place to define and manage the lifecycle of business terms, definitions, associated reference data, and more. This business metadata is associated with technical metadata and operational metadata so that business analysts, data stewards, and other users can quickly find, understand, and collaborate on data assets. Datalumen provides a variety of methods to integrate data within on-premises systems and via cloud based technology. Many organizations began with a simple ETL integration for on-premise data integration needs. As the organization has grown so has the need to integrate more varied sources of data. Some applications have moved to the cloud requiring cloud to on-premise integration. Often, various departments implement one-off extracts and integration methods for departmental reports and extracts. The IT organization is likely struggling to keep up with all of the demands for data across the organization and trying to maintain at least visibility of the data movement activities. With this package our team will review your current platform and document the current state. From there we will review upcoming needs, your Big Data based technologies, as well as your data challenges and departmental needs. During this effort our experts will review these findings and provide a roadmap and plan for areas where leveraging Big Data technologies can help your organization. Used correctly, cloud data management solutions can help you to provide data capabilities to a broader audience in your organization. We can show you how you can put a tool in the hands of non-IT staff that will allow them to generate one-off integrations; allowing your IT department to retain visibility and control of these efforts should a time come to bring them back under IT ownership. We can show you how using Big Data technologies can speed initial development for new projects and efforts without requiring full on-premise installation and configuration, thereby speeding your ability to prototype and begin initiatives more quickly. Get started and contact us for more details about our Big Data Assessment.